Ready to use high strength adhesive with filler. Moisture resistant and breathable. Roll straight from the tub onto the wall. Each 10kg tub is sufficient for a minimum of 2 rolls. Also suitable for use with Graphite+ Insulating Lining Paper 19476 . 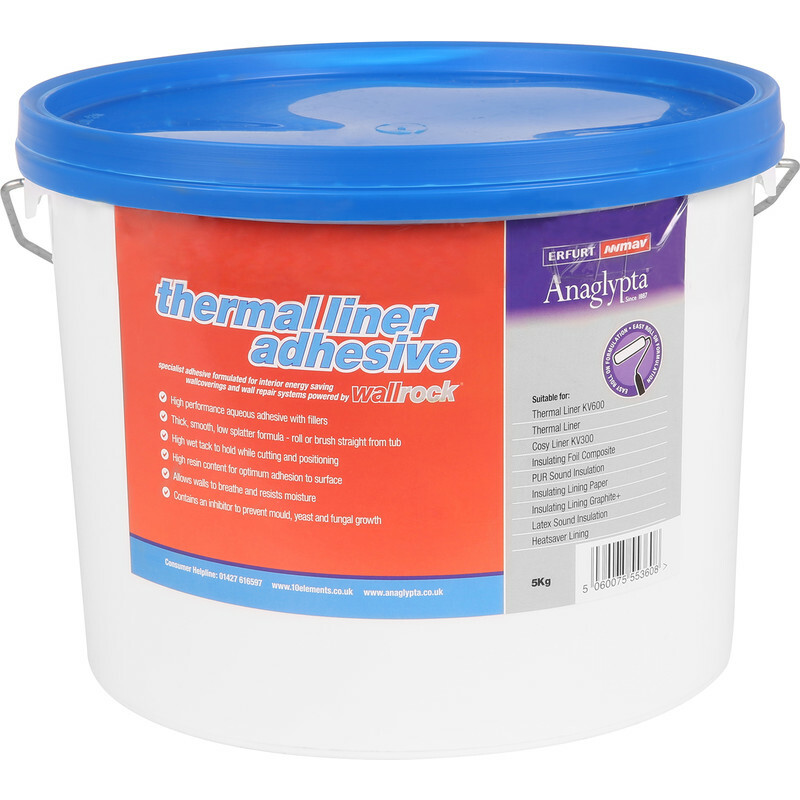 Wallrock Thermal Liner Adhesive 5kg is rated 4.5 out of 5 by 46.